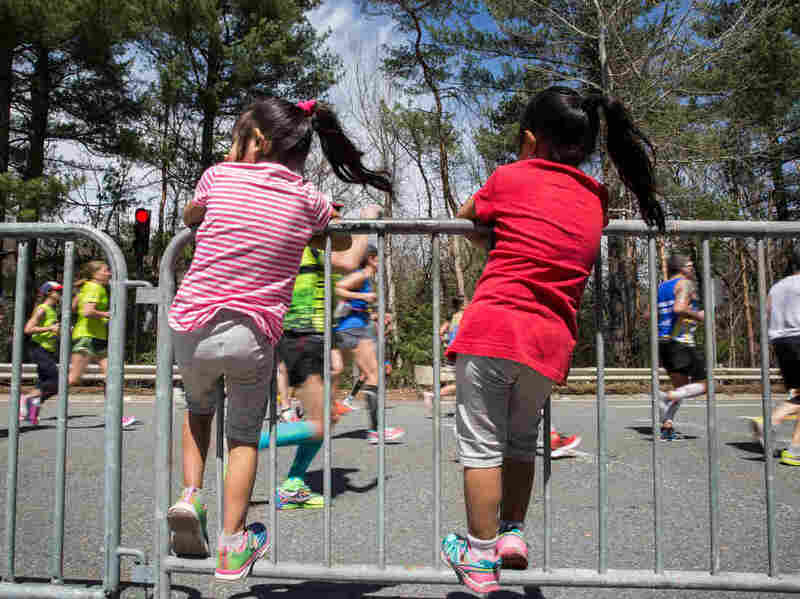 Transgender Runners Can Race Boston Marathon Under Identified Gender : The Two-Way Organizers behind the Boston Marathon have expressed support for transgender people to race under the gender they identify, but transgender runners still face hurdles when it comes to registering. "We don't require that runners outline their gender identity history with us, so we can't say for certain how many trans runners are in our race. We do know that we have had several transgender runners in the past." Still, the thought of registering for a competition under her identified gender is what inspired and pushed Amelia Gapin to undergo surgery, she tells Women's Running. Gapin is a software engineer, transgender activist and one of the three women profiled. She says that post-surgery recovery time made her reluctant to undergo gender confirmation surgery, but the thought of achieving one of her biggest goals — running in the Boston Marathon — pushed her to surgery. At the levels of elite competition, registering under one's identified gender has been more of an issue for transgender athletes who were assigned male at birth. The Olympics revisited its guidelines ahead of the 2016 Rio Games allowing athletes to participate without gender confirmation surgery, but requiring female transgender registrants to prove their testosterone levels did not exceed a certain amount. New York and Chicago Marathons have also said that runners can participate under their qualifying gender. In the case of Boston, registrants are required to show a government-issued ID to get a bib number. The BAA says, "We do compare the ID with the person's qualification-associated gender description." "Should such a situation arise, we would make every effort to address it in a manner intended to be fair to all concerned, with a strong emphasis on inclusion." A previous version of this article referred to Canadian Running as Runner's Magazine.